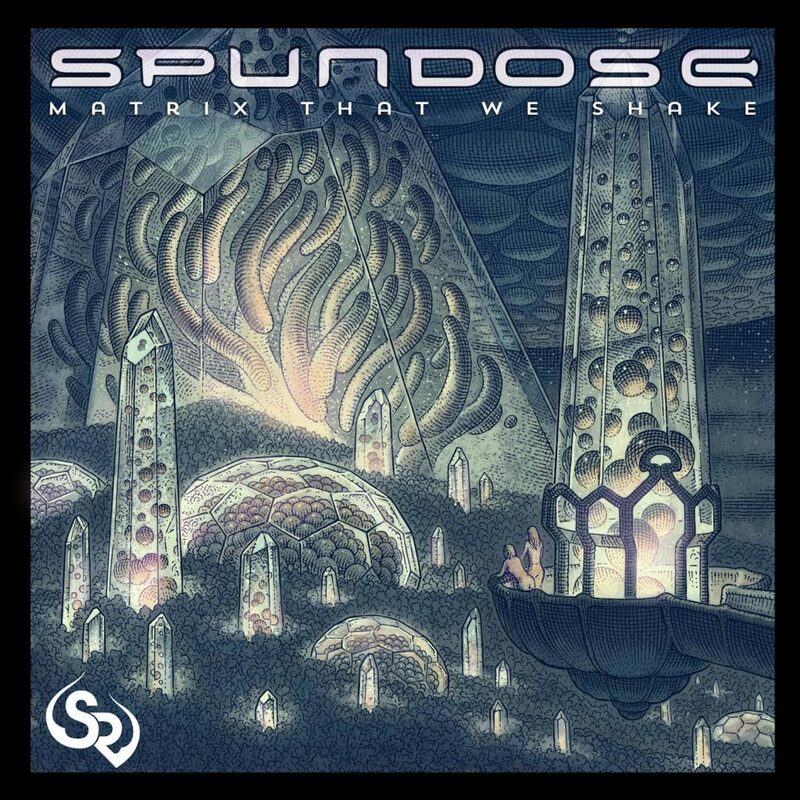 Shortly after the release of his last EP, “Tones That We Broadcast”, Spundose delivers “Matrix That We Shake”, part two of a three part series under Street Ritual. With the first release of the trilogy having quite the receptive audience, the added depth this follow up brings is sure to keep fan’s ears perked. “Green Glass” opens up the EP with some squelchiness zipping around your head and some big bass patches leading us to a slowed down, tripped out, glitch hop-esque beat. Quite the smooth melding of sound to get things moving. The track fans have already been eating up with it’s early release, “Starseeds Are Us” gets right down to business matching his signature breakbeats with some tribal bass. After hyping up some four to the floor, the track gets your feet ready to move, or if you’re not a dancer, some tranced out brain candy for the psyche. Next, “Be Like Water”, holds up to it’s name by delivering some ethereal squish. The bass keeps everything moving with the finest placement of stretchy little sounds amidst the drums to make for one clean beat. “Volcano City” comes next fusing more tribal bass with his ever changing percussion. Each step of the way, the drum and bass synergistically compliment each other accompanying the song down it’s path. Fans of Whitebear or Merkaba will definitely enjoy this hybrid. “Muukashii” closes the EP with some of the highest sound design to date from Spundose. As he hones in on his style, we are left with a worldly, glitched out jazzy sound that is undoubtably going to catch the ears of bass music producers and fans alike. “Matrix That We Shake” will be available for purchase on January 10 via Addictech Records and January 24 on Street Ritual’s Bandcamp, leaving us to anticipate part three of the trilogy. Considering you can literally hear the accumulation of knowledge of music production with each release, it’s safe to say you won’t wan to miss part three. Stay tuned in on all Spundose releases and much more progressive electronic music with Street Ritual.